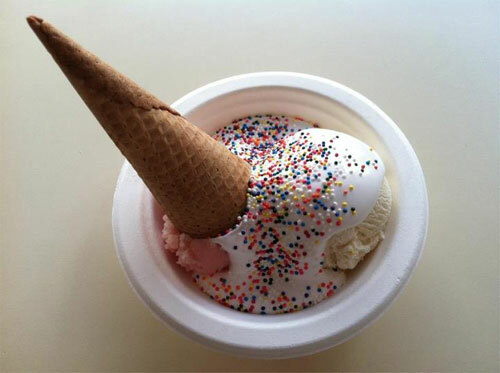 With more than 300,000 Twitter followers, Humphry Slocombe is not your average ice cream shop. Yet the ice cream is what matters, and they make it in dozens of glorious, unique, and delightful flavors - many idolized and iconoclastic: Secret Breakfast, Hibiscus Beet, Carrot Mango, Chocolate Smoked Sea Salt, to name a few. There are surprising sundaes: Tin Roof, Hot Mess and Gabba Gabba Hey. And hip toppings such as marshmallow and frosted peanuts. The one constant is intense, sweet and savory flavors using the highest quality ingredients, organic whenever possible. Get a scoop of San Francisco’s incredible food scene at Humphry Slocombe in the Mission District, The Ferry Building and at The Hive in Oakland.